An unexpected side-dish for those weekend BBQ’S! Whisk garlic powder and wing sauce. 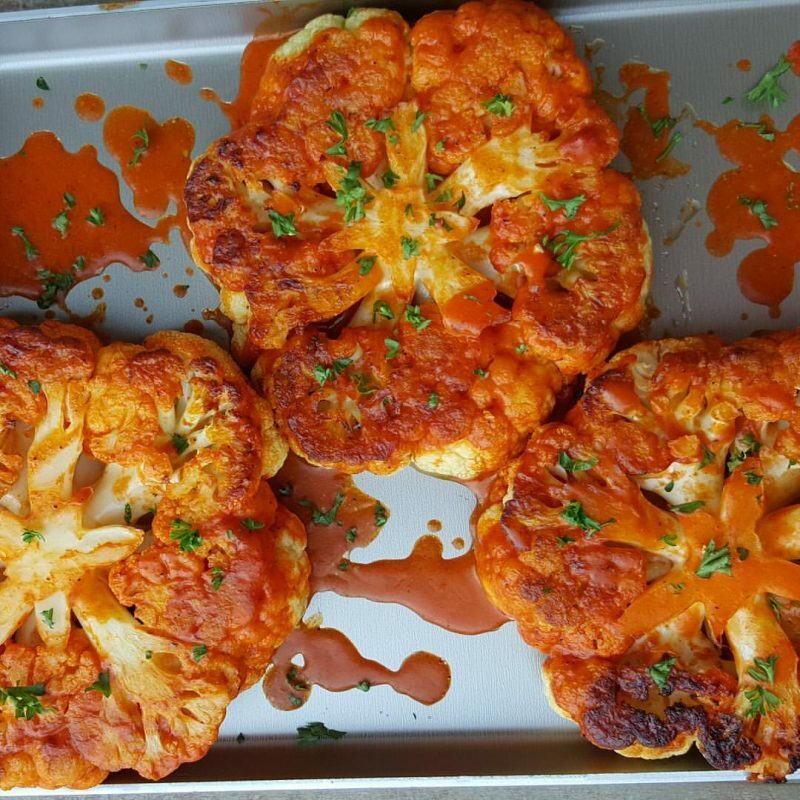 Place the cauliflower steaks on a large, rimmed baking sheet. Brush with oil and sprinkle with salt and pepper on both sides. Transfer to the oven and bake for 10-15 minutes on one side, then remove from oven, and brush with wing sauce, flipping the steak over to the other side. Place the cauliflower back in the oven for another 10 minutes or so. I mixed 1 cup plain Greek yogurt with High-quality blue cheese crumbles..that’s it!